Last week we visited Southern California for my sister’s wedding….and I’ve got a mountain of laundry to prove it. I came home to some fun mail…fabric ordered from Stash Modern Fabric. I’m in love with the goldfish + blue ikat print together! I love going on vacations but I really love being home in my own space and in my own sheets (eww) even more! Love the goldfish with googly eyes! GREAT post, that is some lovely sewing!!! How pretty! You and your little one in matching outfits. hehe!! just like you I love coming back home but you seemed to have a great time and this quilt top looks amazing. I always wonder at your ability to choose fabrics that go together so well! I am a lucky follower of you in IG, but I love seeing your quilts here…that set of blocks is AWESOME!!! Looks like fun in the sun! And – you seem to be hooked on those stars….love it! And I love your lace skirt! I need one to go with my cowboy (girl) boots! Looks like a loyof fun!! I am in love with those goldfish!! I think you'll have to concede defeat – that's going to be a full size quilt now – and it's gorgeous! Big girl! Love those Costco ice cream bars. Love, love, LOVE the goldfish fabric! Ahhh. You were in my hood!!! 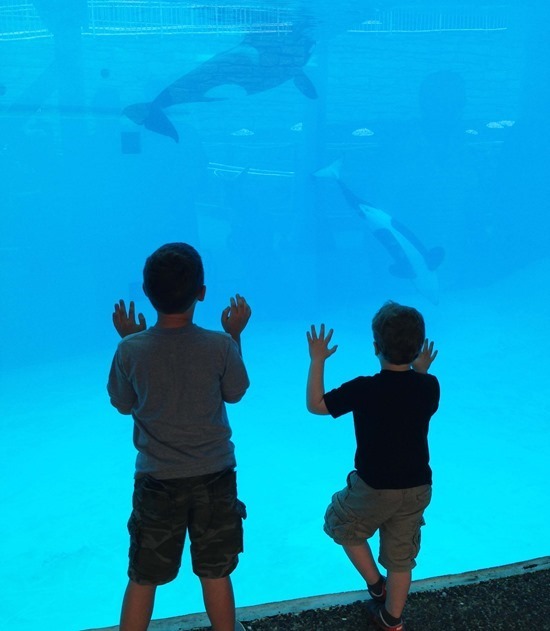 Is that the Long Beach Aquarium or Santa Monica Pier? Is that Marina Del Rey Costco? Hope SoCal treated you well! What a lovely post! 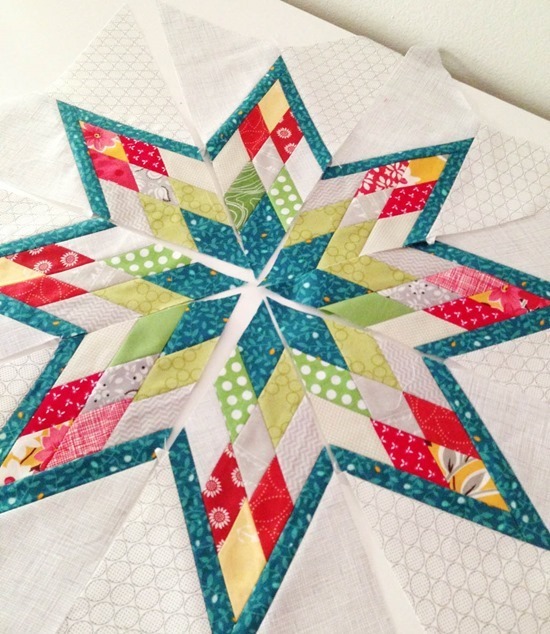 And now you've gotten me hooked on the Scrappy Lone Star Block – how gorgeous! And finally, your children are perfectly adorable – love the "squatting at the shoreline" picture – it is perfect! after the holidays, I hate this. Your starblock is going very beautiful. Your daughter is getting so big! She is adorable. Love the dress she has on. Have never seen one like it. 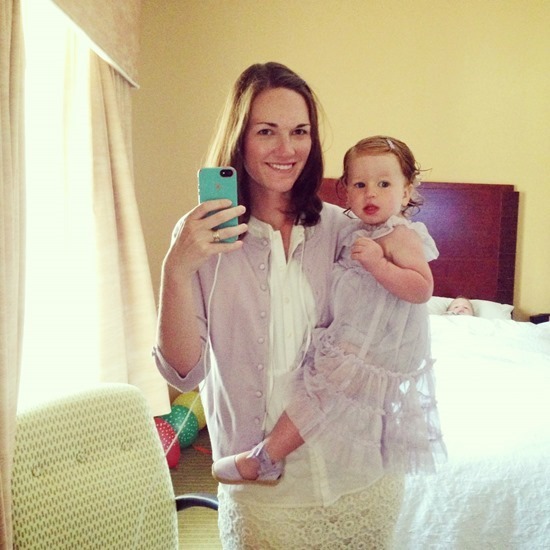 Miss having little girls (have 4 daugthers), love the clothes with all the matching stuff and also doing their hair. They all talk now about when they have a daughter and all the cute stuff they will have them wear (they are girly girls), I told them they might not have girls and will love whatever God gives them. Love the goldfish fabric!! That is so cute! Love your book too by the way. I bring it with me when we go to our lake cabin in Wisconsin. I love just looking through it. Great job!! I just returned from vaca..no beach but a really good friend let me use her Longarm to finish 6 quilts, YAY! Lovely photos of your sweet baby girl at the beach and your son eating ice cream! I am so loving your lone star blocks. I've got to make one. The fish fabric is just too cute. Guess you know where I'll be shopping! Your new blocks are beautiful. Looks like everyone had a great time! Welcome home!!! So you went to Cali to eat at Costco?? LOL!! 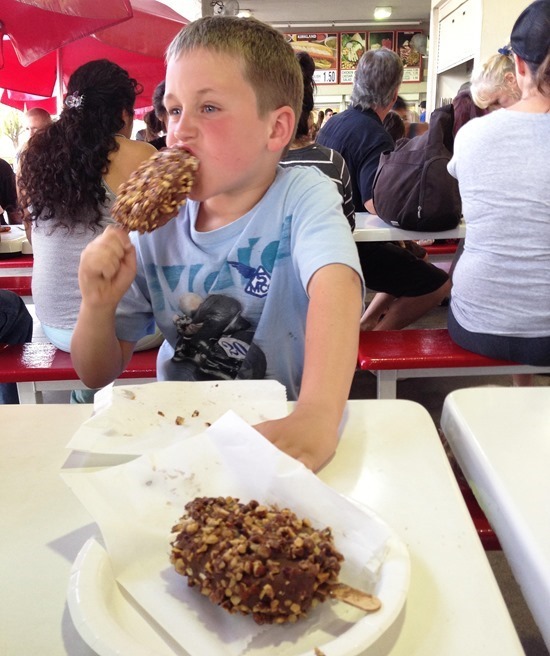 Glad you had fun….and had some of the best icecream bars anywhere!! 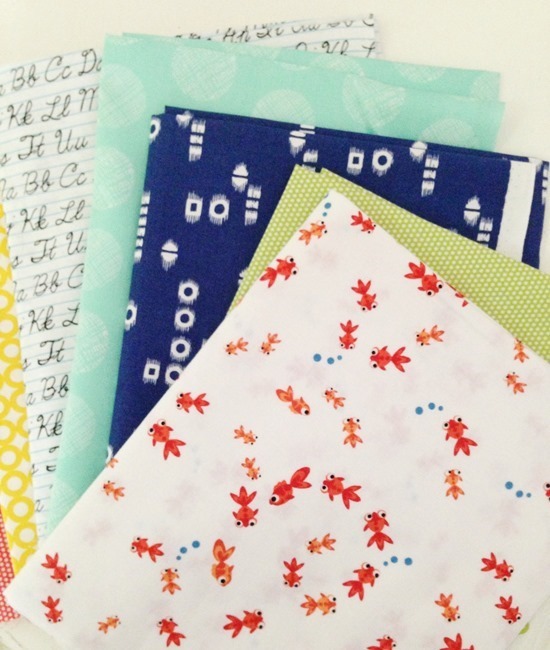 Your kids are adorable and that Lone Star block is beautiful – makes me want to sew! I got in a family SoCal visit this summer, too. Love it! The fabrics are really nice, but I'm loving that star! Beautiful! That is an aMAZing quilt block! You chose a great color combination. Those are beautiful fabrics! I'm going to check out that online store now- always looking for new places to get fabric! I'm the same. I love a holiday, but it's so nice to get home to your own bed and familiar routine. Your little girls hair is so cute. Are the curls from you or husband? It's also red! A rarity. My brother is red so I always notice them. O, fun fabrics! Such beautiful sewing! Love summer vacations as much as anyone, but it can be such a relief to be home. Hello, I love that 'handwriting' fabric but I can't seem to find it at the stash store on etsy :(. Do you happen to know what it's called? oh oh, I didn't get the tut link for the lonestar block!! I would really love to have it!